I am not particularly sure how many people actually mean the night elves exactly as they were in Reign of Chaos when saying this. How much of that is in that book or been recorded somewhere else? I think you're underestimating religion. According to Christian teachings, Jesus's death was orchestrated by his own father and he came back 3 days after his death, and yet, this event was used to justify centuries of anti-Semitism. Cenarius eventually came back too, but the desecration of ones deities is not easily forgiven nor forgotten. The night elves were willing to work with the orcs at Hyjal because there was no other way to save Azeroth, but were they willing to forgive them? I would hope not, or they truly would have been neutered. And we also have to consider that when the night elves' new allegiance was being decided on, Cenarius was considered well and truly dead. If we consider Cataclysm lore, then yes, perhaps it could have worked if we ignore religious fervour. But I doubt Blizzard had already planned his return when Vanilla was released. Fair enough, but in that case it becomes less a question of which faction we believe night elves would fit better and more a question of what we would rather have liked night elves to be like. Some of that is in the book, some was said by Staats during the AMAs, some I know from my private conversations. I was really curious about the Blood Elf part and where that could be sourced. I find it neat to know that Blood/High Elves were canned from the Alliance for Night Elves if so. I find it funny to know that Forsaken really were forced into the Horde though. And to think "SOme" say that totally works and isn't forced. Part of me thinks it's actually interesting to have the dark elves put on the traditional medieval hero faction and the traditional elves put on the barbarian monster faction. I may not entirely agree with it, given the reveal over the ultimately shallow reasons for Blood Elves being put on the Horde, but I can see the intrigue in it and I like such contrasts myself. Part of me also thinks Trolls should have been the Horde's "elves", on some level. If Blizzard had went with the scheme of soft factions, where population disparity wouldn't matter as heavily because anyone can still group with anyone in such a scheme, then why would there be a need to put an elf race on the Horde? I could have easily seen something like Night Elves and High/Blood Elves on the Alliance and Darkspear and Amani Trolls on the Horde. I think you are overestimating the setting. What you write makes sense, but it requires a more "gritty", "realistic" setting than what we have. In my mind, the Warcraft 3 night elves would not join any faction, because both offend their religious convictions. The Alliance is too industrial and too arcane-focused, the Horde disrespected their territory and killed their demigod. But, once you have to put them on a faction, I think the Horde fit the Warcraft 3 kaldorei way better than the Alliance. You just need to explain how the negotiations went, or even make an excuse as to why they rejected the Alliance. I've always figured that was how storytelling was done in gaming companies. You can notice that usually the more Blizzard delves into storytelling, the worst stories go. Warcraft 2 story is simple and so generic, it just sends you from battle to battle, advancing the war until it reaches its conclusion, yet the expansion set is IMO the best story of the Warcraft saga. That's because there's very little details and the mind of the player figures out the rest, making a strong headcanon. As the tools for storytelling evolve, you start to see the flaws in the story. Characters begin to act in strange ways and take stupid ideas, we get bad dialogue, there are twists that make no sense. Just compare Starcraft 1 and 2. The later has amazing tools for storytelling but fails to tell a good story. The former is pretty simple, but the story is amazing. When I ask for good storytelling in WoW, I'm not hoping for a award-winning romance quality. I just want the decisions of the storyteller to make sense. Things like WoD should never have existed, that expansion was in principle a horrible decision. To me it was always clear the inclusion of the forsaken in the Horde, the night elves in the Alliance and the blood elves in the Horde were mandated by executives rather than natural consequences of past stories. It's no wonder to this day all three stories are still debated (watering down of the night elves, Horde being evil, people asking for high elves). I'd argue that the Horde is just as industrial as the Alliance. It just doesn't show in Warcraft 3 because after the beating they took in the second war they were sent back to the stone age. Second race to join the Horde, older than trolls and goblins. Just saying... they didn't HAVE to be evil. "Bridge of Bones" and all that. Early Warcraft 3 also had Goblins as a separate race so I guess sending sending Thrall's Horde back to the stone age was one way to differentiate the two. To be frank, even if the Warcraft III Horde had lacked any industrial themes the Warcraft II Horde had, the Warcraft II Horde still primarily utilized bone, stone, and leather as building materials, with iron secondary and wood way, way behind. But then again, the Warcraft II Horde was not a civilization in the traditional sense, it was a force of nature aiming to destroy the civilizations of Azeroth, an anti-civilization at best. In the early stages of Warcraft III, the high elves had far large presence in the Alliance (the wind serpent - dragonhawk unit, the ranger hero, the elven mage tower building), and they were never supposed to leave the Alliance after the Second War, instead, Quel'thalas was destroyed during the war like in Warcraft II and the survivors remained in the Alliance. When I asked Staats about this and the blue (HE) triangle at Silvermoon on the concept map, he simply told me he does not know much, only that Metzen had some very different idea for the high elves in both games (read Warcraft III and World of Warcraft), but the team really, really did not want to make two elf races (and found the night elves cooler of the two), so he ditched this concept and completely remade the story. You are having it backwards. They were not forced, the faction and its lore was specifically created so that they would have a faction of undead they could place on the Horde separate from the Scourge. Last edited by Marthen; 02-20-2019 at 08:31 AM.. I think the problem with the Forsaken is more about where their story went than how it started. Their direction required the Horde to be blissfully ignorant of the forsaken's obvious evil. The core concept of freed undead regaining their memories and self-control and having to deal with it is actually very interesting. But the lack of inner factions and inner moral conflict kinda ruined it. The Desolate Council was the first interesting forsaken faction in years. Another big mistake IMO. To me, the Warcraft RPG setup with night elves and exiled high elves in the same faction, but the former hating the later, and the later in a weakened state having to deal with exile and addiction was very cool (and what sold the race to me). In the end, the direction taken by Blizzard neutered the night elves until they lost almost everything that made them unique in the first place, and relegated the high elves to cameos. A pity, IMO. Last edited by Deicide; 11-28-2018 at 01:50 AM..
To be frank, even if the Warcraft III Horde lacked any industrial themes the Warcraft II Horde had, the Warcraft II Horde still primarily utilized bone, stone, and leather as building materials, with iron secondary and wood way, way behind. But then again, the Warcraft II Horde was not a civilization in the traditional sense, it was a force of nature to destroy the civilizations of Azeroth, a anti-civilization at best. I remember hearing about early Age of Kings development, which was going to have separate in-game abilities for the standard civilizations and the barbarians (e.g. Mongols, Goths, Vikings). The regular civs would have kings in castles, and the barbarian civs would be able to kidnap them for ransom or something. The game didn't quite go that direction. Last edited by BaronGrackle; 11-28-2018 at 05:08 AM.. The diary actually beautifully illustrates what the true issue is; simply put, most of the team found the Scourge far cooler than the concept of the Forsaken, and even after Metzen came up with the backstory to explain undead on the Horde, they still longed for the Scourge and its themes, creating a schizophrenic environment. I agree this might have been a mistake, it'd probably be better for the night elves to be Horde affiliated/neutral savage tribal elves while the high elves would be dark magic using civilized elves affiliated with the Alliance, but I don't think the Warcraft RPG setup really reflected this, if anything, it was already a result of this original mistake to drive the elves of Quel'thalas off the Alliance (and worse yet, in a schizophrenic manner). There was still the regicide mode. And incidentally, I loved that one. I think one of the problems is the difference between writer and designer. The writer thinks in ways of interesting plots and characters, the designer thinks of flashy visuals and instant reckognization of the themes. Simply put, freed undead theme does not fit the Scourge. But the designers wanted a Scourge faction. The forsaken ended up being the amalgam of two things that don't mix. I understand that game design makes good storytelling difficult. You need to sacrifice details. But I think Blizzard disregards the importance of staying true to its themes. While doing flashy things may work to sell in the short run, it damages the franchise over time. Just look how Starcraft 2 story, despite all the enhancements in storytelling devices, ruined the setting created by Starcraft 1. People awaited over a decade to see how that story will continue. Now, they won't feel as strongly attached to it and don't care as much about a Starcraft 3. Same thing happened to Diablo. One was good, two was incredible, but the third one... it feels it doesn't live up the legacy. With each expansion, WoW slowly drives away the guy that is there for story. And this is the guy that stays faithful to the franchise in the long run. Raiders leave as they age or the gameplay changes, but a fan of the franchise will love it even if it changes genre. The only reason World of Warcraft was so instantly successful was that it had the faith of the RTS players in it. IMO, Blizzard needs to clean up the setting and try to rescue what made its stories great. First off, the story has been improving with each expansion. The short stories and books are tying up very well with what happens in game, compared to WoD, MoP and so on. Other than that, people shouldn't be there for story. People who stay faithful to the franchise in the long run are there because they just love the Blizzard concepts and how the games play out with them. See: Overwatch. Just because there are more voice act and cinematics does not mean a better story. WoD was a terrible idea from concept to execution. The best parts in it were the ones that fleshed out old lore, but the main story was a horrible mistake. MoP *is* one of the best stories WoW has ever had, thought. It had three solid lore-heavy patches, and while the last two patches were weaker, SoO capped the story nicely. That WoD came after MoP is mind-boggling. Legion was a huge improvement over WoD, but it had strong ups and downs. SOme storylines were incredible (Nightborne), but you never really felt the threat of Legion after the prepatch. BfA again has some strong lore (Zandalar/Kul Tiras main storylines), and again is struggling to keep that quality in the main theme. But BfA is still in its first patch and can't be judged yet. We are still in its first chapters. Overwatch is an entirely different beast, since all story done that lies outside the game. There's true story/gameplay segregation there, and even the little storytelling we have is mostly contained in small episodes that focus on limited aspects of the setting. The core problem with the Forsaken is they're supposed to largely be the reanimated dead of Lordaeron without Ner'zhul/Arthas' control but act little different from Scourge, complete with paling around with the Greenskins and brewing a plague to destroy Humanity. They've tried to "address" this with some claims that the Alliance is hostile to Undead regardless of how threatening they act but we see evidence otherwise. The base idea of the forsaken could enable incredible stories. It makes sense that the undead are naturally callous and cruel, since they don't feel pain or sensations like us. When you forgot how is to feel pain, needs to breathe and never get tired, any living thing complaining about things like being hurt or exhausted seem weak and pathetic, right? I also understand that many undead would be resentful. Nothing can compare to YOUR suffering. But there should be different ideologies within the forsaken since the beginning. Also, since the Light both causes pain and makes other sensations more intense, undead priests could very well act as the moral center of the forsaken, reminding themselves and others of what it was like to be living once. But, it got lost in this gimmick of following Sylvanas, torturing/killing people and making plagues to end all life. Worst of all, I'm now at WotLK content with my nightborne and doing Howling Fjord and Dragonblight Horde-side (I had done so only on Alliance so far), and the forsaken are portrayed as comically incompetent at trying to make their plague, so the callousness of their actions is obfuscated by their dumb demeanor. So instead they made fifty? But in all seriousness, the diary only covers the development of the original game, so it only speaks of their (as in the team developing the original) vision and design, not of the modern design. And when it comes to the blood elves on the Horde, they revealed that was essentially a top-down decision, something most of the team did not particularly like and something Metzen specifically never, ever got over. The team backed themselves in the corner with that though. When you design two elf races and then decide that the night elves get Alliance, but don't necessarily want two elf races for Alliance, then don't be surprised or bitter that blood elves go to the Horde. All of this just requires a little forethought. Of course, many of my issues stem from how a lot of lore issues could have been prevented from not bothering with the two faction system. Instead of being worried about having two develop two races and their various assets simultaneously, they could have just focused on developing one new race. So let's imagine this for a second. No factions. Starting races: orcs, tauren, trolls, night elves, humans, dwarves, and gnomes. Wrath of the Lich King: Forsaken. Warlords of Draenor: (non-retconned) Draenei. Of course the nature of abandoning a two faction system likely would have invalidated the plot of these prior expansions. But hopefully this nevertheless illustrates my point. There is no way, of course, that Blizzard could have anticipated how large and persistent WoW would have been so it's not necessarily something they could have planned. But I would still have preferred something that would have permitted more reasonable lore choices. The decision to cut the high elves came way before the introduction of the faction system, though. Staats stresses that Blizzard was pushed to the ends of their limits with World of Warcraft (apparently, the development nearly tore the company apart, and many were left burned out), and with resources scarce, the last thing they wanted to do was to do two very similar races at once. The high elves were the first to be cut from the original pool of ten races (humans, high elves, dwarves, orcs, tauren, night elves, goblin, naga, undead, demons). Then came the demons and the naga, both because the workload to make them work animation/model/item wise was thrice the other races. 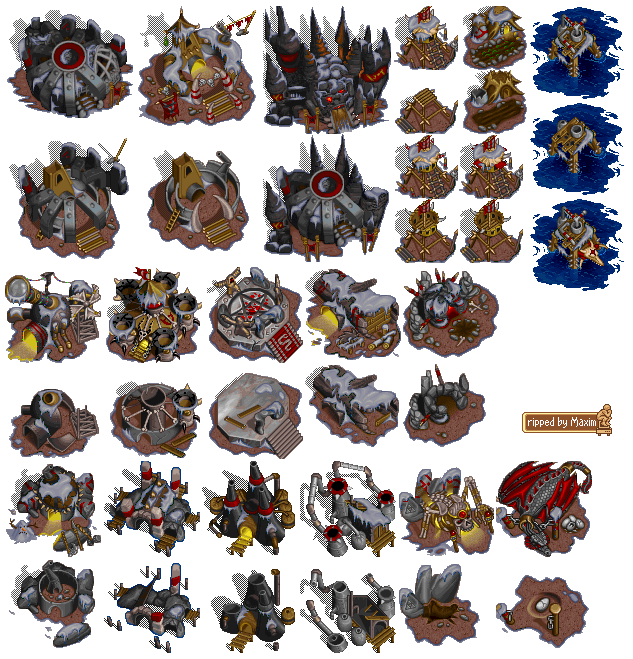 Then finally the goblins, mostly because the team wanted them to be very scifi/steampunk, yet felt all these assets could not be really utilized elsewhere. The producers also wanted to cut the undead at one point to save resources, but the rest of the team blocked that. There is no way, of course, that Blizzard could have anticipated how large and persistent WoW would have been so it's not necessarily something they could have planned. But I would still have preferred something that would have permitted more reasonable lore choices. I agree, but the diary makes a point that Blizzard believes that the faction system, while not lore friendly, made for a better and more successful game, and I am not sure if they are wrong on that (though impossible to say definitely). Last edited by Marthen; 11-29-2018 at 01:06 PM..